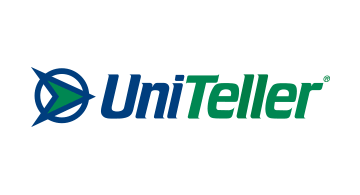 UniTeller Financial Services, a subsidiary of one of the largest Financial Groups in Latin America and the third largest in Mexico, Grupo Financiero Banorte, is a Money Transfer Company based in the United States and one of the market leaders offering Remittance Processing Services. With an extensive network of more than 110,000 paying locations worldwide, UniTeller offers coverage throughout Mexico, Latin America, and the Philippines. The foundation of UniTeller is built on its core values of Innovation, Integrity, Team Work, and Excellence. These values are the essence of UniTeller and trickle down to every aspect of their operations. These core values define their organization wide corporate culture, represent standards of conduct that guide their actions, and reflect their commitment to not only their employees, agents, partners, but also to the communities in which they operate. Grupo Financiero Banorte acquired UniTeller in 2006 aiming to strengthen and integrate its money remittance capabilities with major networks in Latin America. In 2008, UniTeller successfully began its Wholesale Remittance Business. Today, it has become a leader in the industry for Remittance Processing Services. UniTeller embraces changes in technological advancements to remain relevant to its partners. It acts as a processing partner with a flexible, revenue sharing business model that adapts to its partners’ businesses. UniTeller processes Remittance Processing Services for over 100 Remittance Companies, Banks, International Payment Institutions, and Retailers in the United States, Canada, Latin America, Europe, and Asia. The impact that UniTeller has on the lives of people goes far beyond than providing an affordable, dependable, and secure money remittance service. As the world evolves and technology advances, UniTeller continues to grow its platform enabling them to further connect their customers with their roots and the ones that are most important to them; thereby “Linking Lives”. To find out more about UniTeller, visit www.uniteller.com.